Many times tasks come with a due date, but just putting in a due date isn’t enough. 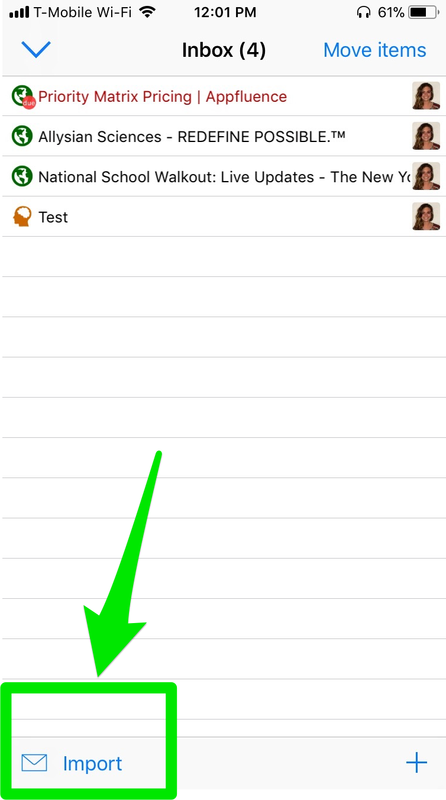 It’s easy to forget without reminders, so Priority Matrix has a built-in reminders tool. If you use Siri to put in a task (which you can learn more about here), just tell her to “remind me to [call Molly] at 2:55pm” and she will attach the reminder automatically. Next up, sync your IOS reminders with Priority Matrix. Open the Settings app and scroll to “Priority Matrix.” The apps are listed after the selections for settings and in alphabetical order, so it could take a little bit. Turn on the reminders option. Select “import” at the bottom left corner. Click “reminders” and from there decide how you would like to sync the reminders. 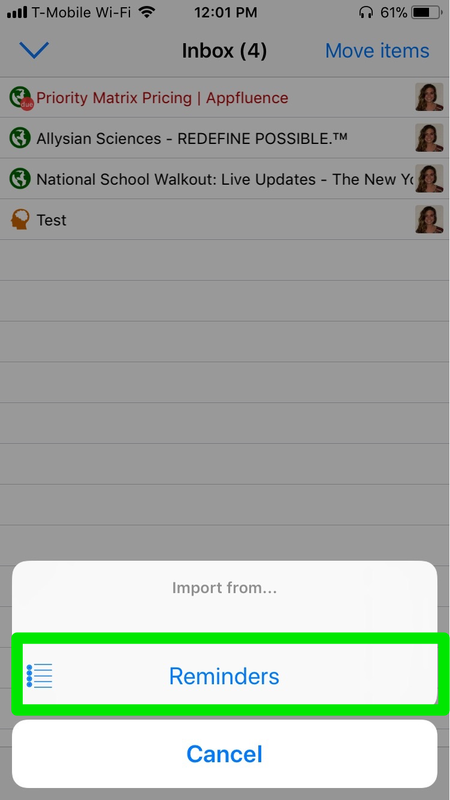 You will see the option to either “enable reminders sync” which will sync all reminders in the future or you can choose to “import your current reminders” and this will not sync reminders in the future.